Notes: The grave was damaged during the Second World War. 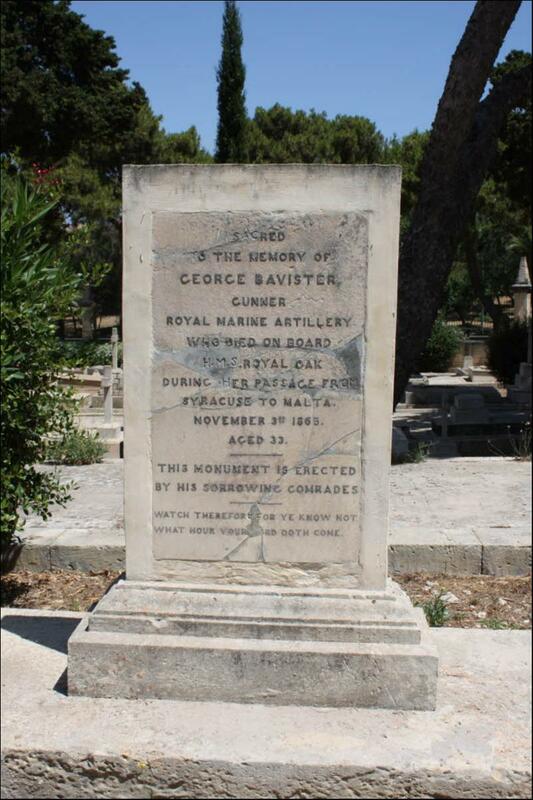 Inscription: Sacred to the memory of George Bavister, Gunner, who died on board HMS 'Royal Oak', during her passage from Syracuse to Malta. This monument is erected by his sorrowing comrades.